A cool, easy-listening jazz sound, with trumpet and electric guitar playing melodically over jazz drums. Distorted electric guitar and trumpet produces an unsettling opening. At 0:20, slowly paced out steps of bass, guitar and trumpet creates a sneaky mood. An off-kilter sound of warbling jazz guitar and trumpet plays loosely over a cool, relaxed rhythm from drums and bass. A laid-back, cool jazz band creates a smooth and relaxed feel. An upbeat groove of bright electric guitar and shuffle drum beat steadily flows into a cool jazz sound, with trumpet entering at 0:46. A moody trumpet floats over shimmering electric jazz guitar and a sparse rhythm section. At 1:15, a fuzzy electric guitar enters adding texture and suspense. A laid back contemporary swing with tender trumpet and guitar melodies creates a romantic mood. Warm guitar harmonies open to a subdued contemporary jazz groove with tender trumpet lines and upbeat drums, creating a comforting mood. Quirky trumpet and guitar lines open to a breezy contemporary jazz sound. A warm and uplifting jazz ballad with folk influences. A modern jazz combo creates an upbeat blues sound with a funky shuffle. Unsettling electronic effects open for a trippy funk groove with spacey jazz trumpet melodies. Energetic and lighthearted; bubbly trumpet and guitar melodies create an upbeat swing sound. 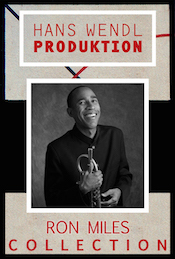 A reflective contemporary jazz sound with active trumpet improvisations and breezy drums. A comforting modern jazz ballad with fuzzy trumpet melodies and warm harmonic textures.